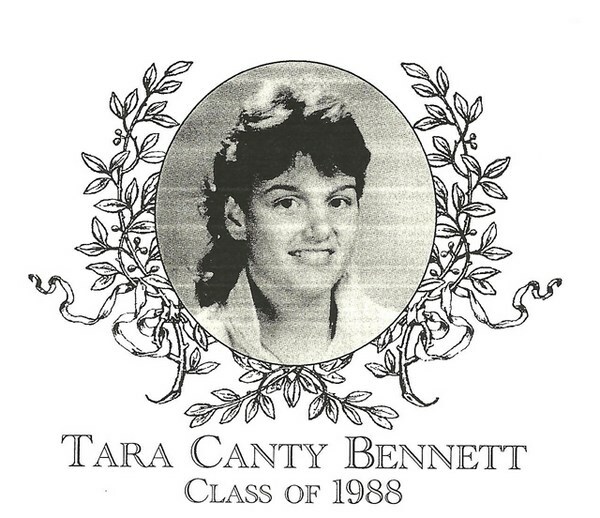 Tara Bennett, Class of 1988, truly made a mark on the world of Bartlett athletics. Tara was a member of the girls� soccer team her sophomore and junior years and was named captain her final year. She attained the honor of being named Border Conference All-Star, along with Telegram & Gazette All-Star. Tara was a midfield/striker who currently holds the girls� record for scoring in soccer � accomplishing an impressive 31 goals in one season. Tara was an outstanding guard in basketball and had the ability to shoot, pass, and play great defense. Tara proved to be no less extraordinary playing all throughout high school and captained her teams during junior and senior years. She earned the title of Border Conference All-Star and Most Valuable Player (two years in a row). Tara was also named Border Conference All-Star and Telegram & Gazette All-Star for softball, in which she participated throughout her high school career. Upon graduation in 1988, she received the Sigmund S. Strzelecki Athletic Award as the top female athlete. Off the court or field, Tara was a member of the student council in her junior and senior years and took part in the Who�s Who program. Beyond Bartlett, Tara attending Eastern Connecticut State University, where in 1992 she earned a Physical Education degree. Besides possessing extreme talent herself, Tara has chosen to spread her talents onto others. Central Massachusetts awarded her the honor of being coach of the year in soccer. In 1999 and 2000 she took her Oxford High School team to districts where they were the runner up � and she did the same for her softball team in 2007. Tara has spent 15 years coordinating the Jump Rope for Heart program and is a Worcester County Food Bank Harvester Award winner. She is also a six-time triathlete. Tara currently resides in New Braintree, MA with her husband, Michael, and is a physical education teacher for the Town of Oxford.